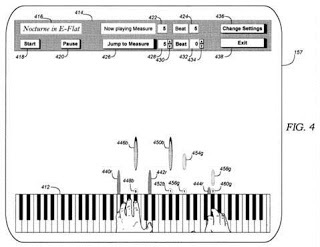 AI Automation LLC v. Harmonix Music Systems, Inc., Mad Catz, Inc., and GameStop Corp.
Patent owner AIA (not to be confused with the America Invents Act) accuses Harmonix et al. 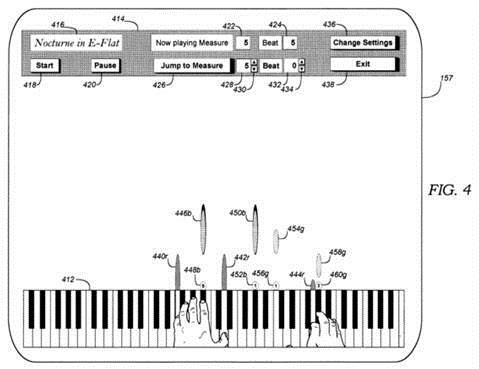 of infringing U.S. Patent No. 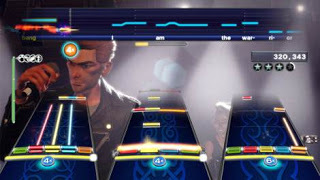 6,388,181 (“Computer Graphic Animation, Live Video Interactive Method for Playing Keyboard Music”) with the most recent game in the Rock Band franchise, Rock Band 4.
a temporal dimension indicating both the time for actuation of the note and the duration of the activation of the note. AIA acquired the ‘181 Patent in January 2014, and this is the third round of lawsuits related to the ‘181 Patent since the acquisition. AIA sued Harmonix in March 2014, alleging infringement of the ‘181 Patent by Rock Band 3 and the controller accessories to the game. Harmonix settled that case for a confidential sum in June 2014. AIA also sued Activision Blizzard and Best Buy in November 2014, alleging that several games in the Guitar Hero franchise infringed the patent; that case confidentially settled in January 2015. AIA allegedly began threatening litigation in regards to Rock Band 4 in October 2015 and demanded that Harmonix license the ‘181 Patent. Harmonix responded by filing the first present case, seeking declaratory judgment of patent noninfringement. AIA immediately filed the second present case, accusing Harmonix of willful infringement with regards to Rock Band 4. We will continue to monitor this case and report any interesting developments. Thanks to Daniel Douglas for preparation of this case note.